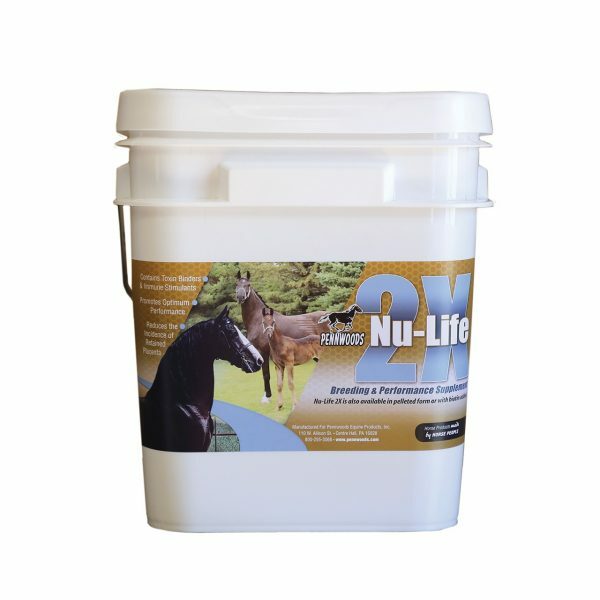 Pennwoods Nu-Life 2X (Double Strength) Pelleted is a pelletized form of our premium breeding and performance package. It is a blend of concentrated ingredients used in an enhanced formula created to provide nutritional balance for the increased dietary needs of breeding and performance horses. The unique combination of macro elements, organic micro elements, amino acids, vitamins, and essential B vitamins help strengthen the immune system, reduce the incidence of retained placenta in broodmares, and also reduce muscle fatigue in performance horses.